Widespread adoption of the IT Infrastructure Library® (ITIL®) is motivating a growing number of enterprises to implement a configuration management database (CMDB). A CMDB is the core database that “powers” the configuration management system (CMS), introduced in ITIL Version 3. 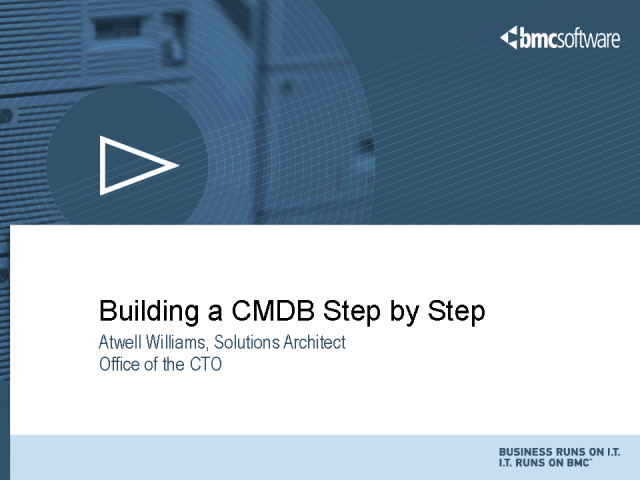 Join Atwell Williams - Solutions Architect, Office of the CTO at BMC Software as he provides practical how-to guidance for structuring a CMDB project and successfully delivering a comprehensive, effective, and useful CMDB.